Recently, I've been looking into building a streaming HTTP server that supports the new HTTP/2 protocol, but there seems to be a lack of information on the internet around this, so I decided to write this post. 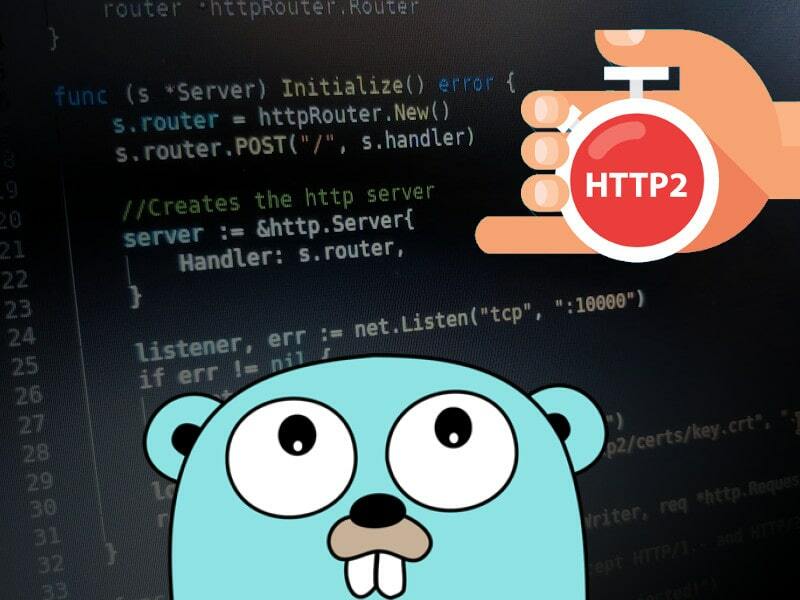 Before we start, I am assuming that you are familiar with Go programming language and interested in building a streaming HTTP/2 server-client pair. "HTTP/2 will make our applications faster, simpler, and more robust — a rare combination — by allowing us to undo many of the HTTP/1.1 workarounds previously done within our applications and address these concerns within the transport layer itself. Even better, it also opens up a number of entirely new opportunities to optimize our applications and improve performance!" The HTTP/2 by default works on highly secured connections. It uses high quality ciphers. So it can only run on HTTPS connections. Moreover, to make HTTPS connections, you also need to have your SSL enabled and have the required certificates installed. // We only accept HTTP/2! // from returning before the client connects to the server. The code should be pretty self explanatory and I added some comments to make it more clear, but if you have any questions or comments please drop a line below. Thank you!